Stay within your circle of competence. It's worked out pretty well for the Oracle of Omaha. "Why not invest your assets in the companies you really like? As Mae West said, 'Too much of a good thing can be wonderful.'" 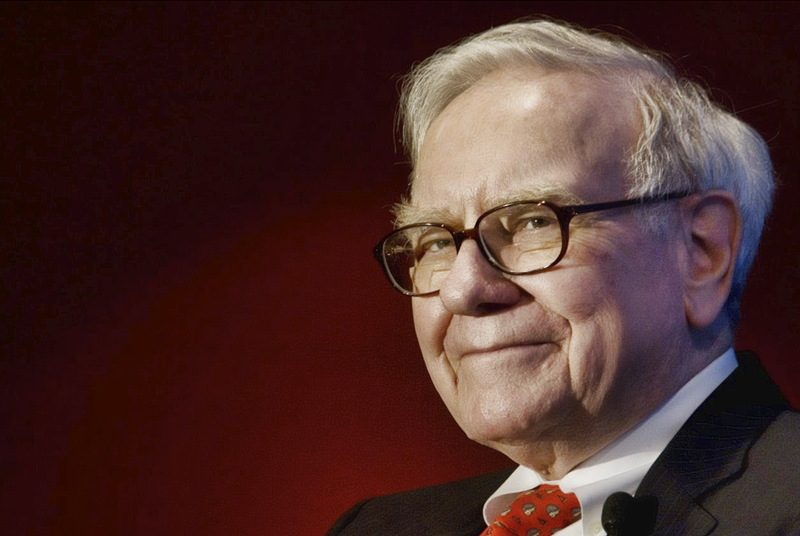 Warren Buffett is considered one of the greatest investors in modern history. He started out as a young financial analyst in the '50s and now has accumulated a fortune worth over $60 billion. When asked for investing advice, Buffett often suggests that investors stick to buying stock in businesses they understand, which is a key principle in his own strategy. The Oracle of Omaha buys what he knows; his portfolio is low in tech and doesn't include any biotech or Internet companies. His top stock holdings are familiar names: American Express, Coca-Cola, Wells Fargo, and IBM. Even his private companies are fairly traditional: Heinz, GEICO, Fruit of the Loom, and others. This might seem like a rather boring way to play the stock market, but it works: Shares of Berkshire Hathaway have more than doubled in the past five years, which is a reflection of the strength of Berkshire's shareholder relations and the businesses it has purchased -- Burlington Northern, See's Candies, Dairy Queen, Benjamin Moore, Justin Boots, and others. Warren Buffett often cites the "circle of competence" concept, which is a way for investors to focus only on operating in the areas they know best. This is the reason Buffett doesn't invest in biotech and technology -- those industries are unfamiliar, change too frequently, and have short track records. Straying outside the circle of competence leads an investor into the land of speculation. We all have our own areas of expertise, whether influenced by experience, education or both, and we should lean into that knowledge when choosing investments. You don't need to be an expert on every company in your industry; you just need the ability to evaluate companies within your circle of competence. For example, an investor who has spent the last 10 years working in a garment factory would have an advantage when analyzing the strengths and weaknesses of a clothing manufacturer or determining the climate of the industry. Take a trip to your local supermarket or shopping center and look for the most popular items. Look through your cabinets and pantry: Take note of which products you use regularly. Many of your favorite brands could be made by the same manufacturer, like Procter & Gamble, General Mills, or Sara Lee foods, all of which are traded publicly on the stock market. Also, think about what your kids have been asking for or what they want for their birthdays and holidays. Peter Lynch, the father of the "invest in what you know" mantra, says he got some of his best investing ideas from listening to his wife and kids after they came back from running errands. For example, Lynch bought stock in Hanesbrands after his wife raved about her pair of L'eggs, a new line of pantyhose from the company. That investment ended up making him millions. Finding companies you know is only the beginning; the circle of competence is only meant to help you stay within your arena of expertise. Once you have generated a list of the companies you understand, the next step should be conducting an analysis of the financials. Don't worry -- you don't have to be a finance whiz to understand the basics of the stock market. For example, Berkshire Hathaway's investment philosophy is surprisingly simple: The company should have consistent earning power, good return on equity, capable management and be sensibly priced. Investing is less about the stock price and more about the value of the business -- is it a good one? Successful investing is more about learning over time and slowly expanding your circle of competence. For now, stick with what you know and focus on the long term. Anyone can find success in the stock market; you just have to keep it simple. As Buffett has famously said: "You don't need to be a rocket scientist. Investing is not a game where the guy with the 160 IQ beats the guy with 130 IQ." And you know, $60 billion says he's right.